Pick 'n' Mix Jewellery from Interplay's My Style range makes really fun fashion accessories that are great to wear and share with friends. 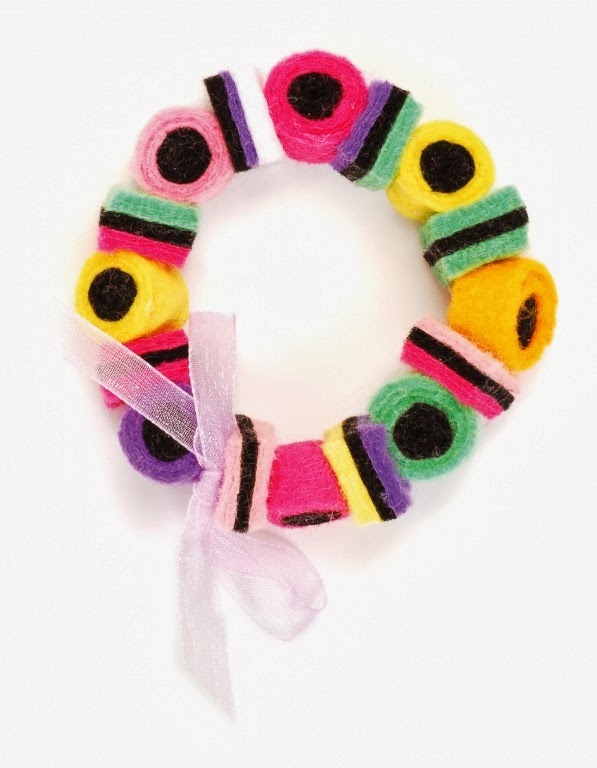 You can make colourful beads using self-adhesive felt to create up to eight fabulous jewellery pieces. You can even mix and match the different felts to make your very own designs! This kit is just one of the collectible myStyle craft kits available from Interplay and is recommended for children aged 8 years and over. We've been having a go at this kit ourselves and have to say it's been fun but challenging. I'm not a very craft person, in fact I tend to avoid ALL crafty kits like this for the simple reason that I just don't have the patience for them and as a result, I'm not very good at them. I put my opinions aside for a day and joined my eldest daughter for an afternoon of jewellery making. There are lots of pieces in this kit but you do get a nice plastic storage box to keep all the small bits safe inside. The instruction book is helpful, it shows you all the items that you can make and how to do them. It's not an easy kit but it's well worth the effort of having a go. Our bracelets may not have looked as good as the ones on the box but we were happy with them. We didn't make any earnings as none of my girls have pierced ears but you can if you like, all the bits you need are in the set ready. You can also make pretty necklaces if you want too but unfortunately we used up all the felt squares making three bracelets. We decided to make all square sweeties on our bracelets because we couldn't get the round ones to seal properly. We enjoyed making our bracelets, Chloe had fun whilst I had an interesting time. I'm not sure if I personally would buy a set like this but that's just me because I'm not a crafty person but if you love crafts and love making things then this set is definitely one for you to try. The image above is how your bracelets could look, they are pretty cute and very life like. I've mistaken them for real sweeties a few times already, they look so tempting but please don't eat them as they're not in anyway, shape of form edible. Chloe scored this set a 3/5, she enjoyed it and loved the end results. She's now the proud owner of a Pick n Mix sweetie bracelet. 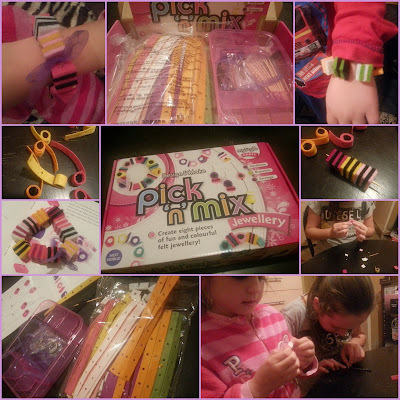 We were gifted our Pick n Mix Jewellery kits for the purpose of this review but all the opinions given are our own and 100% honest.